This super high quality duck down mattress topper will not only add a layer of comfort to your mattress but also extra warmth. 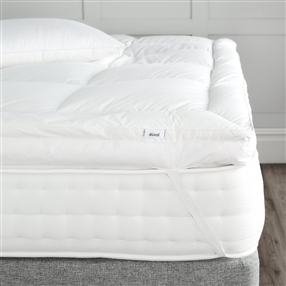 Made in the UK using only the finest certified European duck down encased in 100% cotton Nomite® and Downafresh® certified cases which have been lovingly piped along the edges for extra durability. Go on, treat yourself and add an extra layer of sumptuousness to your bed.